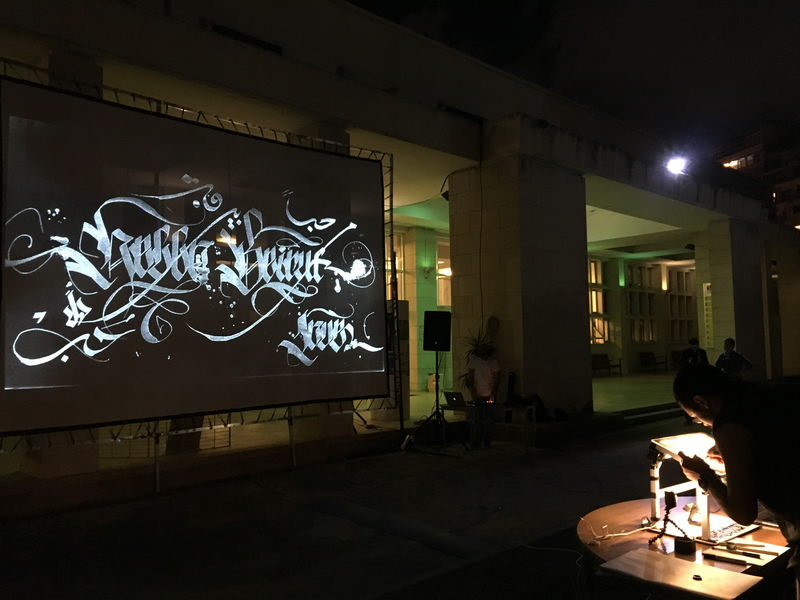 The performance is a networked projection between the Lange Nacht der Ideen 2018 and the ISEA 2018 Durban. The visitors of both cities are invited to write Calligraffiti tags together with the artists Jazoo Yang, Parisurteil, Drury Brennan, Sandesh Jugmohun which are live projected in Berlin and Durban by using the interactive light table Infl3ctor (https://www.michaelang.com/project/infl3ctor), developed by the new media artist Michael Ang and Hamza Abu Ayyash. Curated and initiated by Public Art Lab and From Here To Fame Publishing in cooperation and funded by the Ministry of Foreign Affairs and co-funded by Future DiverCities and the Creative Europe Program of the European Union.